MONDAY, June 18, 2018 (HealthDay News) -- Buprenorphine and methadone can cut the chances that someone who survives an opioid overdose will succumb to yet another one, but too few patients get the treatments, a new study shows. 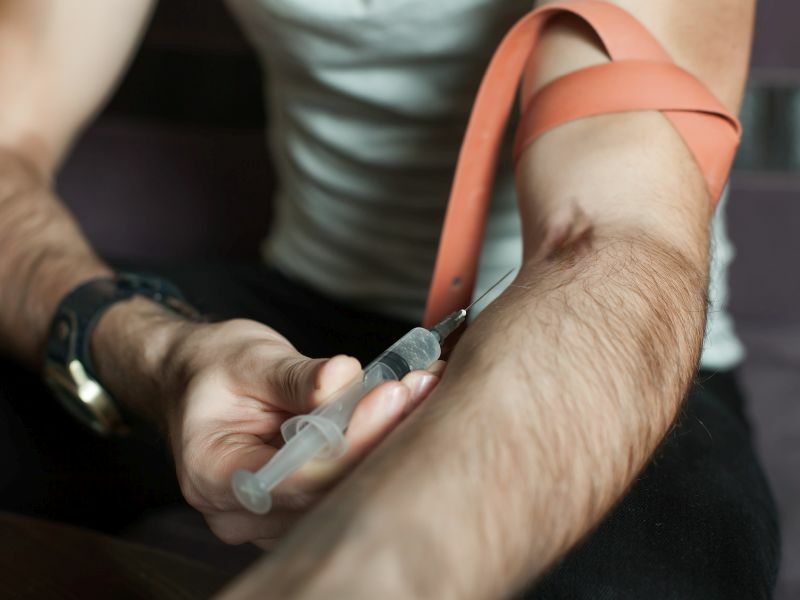 "We have two drugs that are lifesaving for people who have had an overdose," said lead researcher Dr. Marc Larochelle, a general internist and researcher at Boston Medical Center's Grayken Center for Addiction. The researchers studied more than 17,500 adult overdose survivors and found that only about a third were taking buprenorphine or methadone or a third drug, naltrexone, he said. Not only that, but those who do get the drugs aren't taking them for long, Larochelle added. Seventeen percent of those treated with buprenorphine stayed on the drug for about four months. Of the 11 percent who used methadone, most stayed with the program for only five months, and among the 6 percent taking naltrexone, treatment lasted for only one month, he said. All three drugs have been approved by the U.S. Food and Drug Administration for treating opioid addiction. Methadone and buprenorphine act as substitutes for narcotics. Naltrexone works by suppressing the desire for opioids, Larochelle explained. Sticking with a program can be difficult, Larochelle acknowledged. Many steps are involved, and patients need to be motivated to stop using narcotics. Moreover, the pervasive availability of narcotics can make it hard not to start using them again, he said. Despite not using these drugs for the long haul, methadone still reduced the chance of dying by 59 percent, and buprenorphine cut the risk by 38 percent, Larochelle said. No reduction in risk was seen with naltrexone, he noted. Larochelle said that one reason so few patients take these drugs is that they refuse them. In addition, the health care system isn't always set up to refer patients for treatment. In many cases, overdose patients are treated in the emergency room and released with a pamphlet that directs them to ways to get additional care, Larochelle said. He believes that if treatment started in the emergency room, more patients would opt for treatment. It's also important to provide patients with services that help them cope with their addiction and help them get their lives back on track, Larochelle said. Another problem, he said, is the widespread school of thought that says you shouldn't treat addiction with an addictive drug. "It's a constant battle," Larochelle said. "The reason I do the work I do is that it's rewarding to see someone in recovery doing well. It's not substituting one addiction for another." The director of the U.S. National Institute on Drug Abuse, Dr. Nora Volkow, says the nation's heath care system isn't doing its job in helping drug abusers. "Despite the awareness of the grave and growing problem of opioid misuse and the dangers of opioid overdose, the health care system continues to not deliver medications that have been proven to be highly effective at not only reducing opioid misuse, but also reducing other complications of opioid use disorders, such as criminality and transmission of infectious diseases," she said. "Additionally, providers are continuing to prescribe opioids to patients who are clearly at high risk of overdosing, meaning they are not paying attention to new pain management guidelines, not paying attention to patients' medical histories, or both," said Volkow, who co-authored an editorial that accompanied the study. Another specialist in treating drug addiction urges drug abusers and their families to reach out for help. "If you or a loved one have a problem with opioids, there is help available," said Jonathan Morgenstern, assistant vice president for addiction services at Northwell Health in New Hyde Park, N.Y.
"It's not a hopeless situation, it's not a death sentence," he added. "We have effective medications, we have effective treatments." The report was published June 18 in the Annals of Internal Medicine.